Ananas is cultivated on São Miguel since the end of the 19th century. The Azorean ananas is small and tastes a little different from central american products, which means a little more sourness, even when overripe. Moreover, there is a kind of coconut aroma. It`s perfect for fruit salad, e.g. dressed with coconut yogurt. The range of different bread types is small. A well-assorted supply can be found at Continente or Sol Mar, even with seeds (Sementes) and rarely with a little rye flour (Centeio). Wheat bread (Pão de trigo) is mainly lightweighted, mixed bread (Pão misto) of wheat and corn (Milho) ist tight and gets dry very quickly. It is recommendable to freeze bread or rolls. The mobile bakery service delivers traditional wheat bread at 9 am (workday only). You can also order rolls, which will be hanged up the doorhandle at 6 am, but those are not fit to hold a candle to the bread. Butter is usually lightly salted, which is a good match for the local bread, that contains no or very little salt. Even sweet spreads like jam or honey go well with bread and butter. The percentage of salt is less than e.g. French salted butter. Cakes are often very sweet, especially factory products. An exception is Bolo-rei (king`s cake) at christmas time, which is a wreath-shaped kind of challah, with candied fruit. It reminds of the Italian Panettone. A yeast bun without fruit is available all the year by the name of Massa Sovada, in different sizes. Worth trying is also Bolo Lêvedo, which is a slightly sweet yeast bread, looking like a flat cruller. It harmonizes perfectly with slightly salted Azorean butter. Furthermore, there are lots of recommendable sweet flaky pastries, filled with apple, pecan, blancmange, chocolate or coconut paste. Cookies (Bolachas) are made in many variations, starting from plain wheat shortbread up to expensive specialties, made of oatmeal or grounded almonds or hazelnuts. Nevertheless, nearly all of them have one thing in common: they`re hard and dry and therefore proper for dipping them into coffee or tea. An omnipresent delight on São Miguel are Queijadas (Muffins). • Queijada de feijão = with bean mousse and molasses, caramel flavor. A particularly specialty of the island ist the Queijada of Vila Franca do Campo. It is always wrapped in paper: it`s pound cake dough with a real big portion of butter. Very substantial and rather sweet. Some restaurants offer homemade Queijadas on the dessert menu - those are mainly better than supermarket pastries. Testing them is never a bad thing! The Azores are Portugal`s stronghold for cheese products. Producing cheese was taught by dutch professionals. São Jorge cheese enjoys worldwide reputation. It is, dependent on its age, more or less pungent and it burns a little bit, like e.g. good Emmentaler. Other Azorean raw milk (leite cru) cheeses are not that extreme, like e.g. Lourais or Topo. A mild product is e.g. Picaroto or Uniflores. Queijo Flamengo en bloc tastes like Gouda. Queijo Manteigo is a very mild cheese. Moreover, there are several Queijos Curados, which is seasoned cheese. They are treated with e.g. garlic (Alho) and/or parsil (Salsa) or sweet pepper (Pimenta). Cow = vaca, goat = cabra, sheep = ovelho. Otherwise, simply take a sniff what could be your taste. Another specialty are small white loafs of fresh cheese (Queijo fresco) in brine. These are usually eaten with the omnipresent sweet pepper sauce. Almost every restaurant serves it as starter. Typical starter: »Queijo fresco« resp. Water with gas is served by cafés/restaurants in small, high-priced bottles. Water without gas can be Água fresca (chilled) or Água natural (unchilled). Uma garrafa de água fresca grande = a 1.5 l (~3 pt) bottle of cooled natural water. Um meio litro = half a liter (~1 pt). Fizzy water is relatively expensive, even in the supermarket, but you will find a cheaper brand at Casa Cheia. The brand Pedras, which is served in many restaurants, can need to get used to, because it is rather salty. Faucet water is hygienically safe, but slightly chlorinated, sometimes more, sometimes less, depending on the local water reserve. Soda is called Sumo. Orange soda is Sumo Laranja, lemon is Sumo Limão. A (pretty sweet) specialty of the island is passion fruit soda (Sumo Maracuja). Coffee: Um café is an espresso, which is hardly inferior to Italian ones. Café longo is espresso with more water. Touristical places offer café americano (drip brew). (Café) Galão is the portuguese version of cappucino (espresso with milk foam). Tea (Chá): There are two tea plantations on São Miguel (Gorreana and Porto Formoso). It is recommendable, not only of pricewise reasons, to buy tea in situ, because you can try it first. Azorean black tea (Chá preto) is very mild, like some Chinese black teas. You will need a slightly higher amount of tea leaves for a good cup than you might be used from e.g. Indian tea. The difference between Pekoe and Orange Pekoe, as regards taste, is marginal. Green tea (Chá verde) is excellent, the flavor is drawing near Japanese Bencha. Very recommendable! Beer (Cerveja): You will find beer of three breweries all over the island. Especial (São Miguel) is a lager, Super Bock (mainland) is tastier lager and Sagres (mainland) reminds of pilsner. Draft beer = Cerveja de barril. Uma cerveja = 0.25 l (8.5 oz). Um fino = 0.2 l (6.75 oz). Uma tulipa = 0.33 l (11.1 oz). Uma caneca = 0.4 or 0.5 l (13.5 oz or 1 pt). Red wine = Vinho tinto, white wine = Vinho branco. A Portuguese specialty, which goes well with fish, is Vinho verde (green wine). This is young, slightly sparkling wine, mainly dry. Portugal grows also vinho rosé resp. rosado, but it is consumed quite rarely. Fortified wine: port wine = Vinho do Porto (tinto or branco); Vinho abafado is a similar specialty, rather sweet. Liqueur: Many different liqueurs are made on São Miguel. Remarkable is Licor de Mel (honey liqueur with 36%). You can visit e.g. the Mulher de Capote liqueur factory in Ribeira Grande, which produces a lot of different flavors, which are sweet across-the-board. There is, among others, anise, blackberry (Amora), passion fruit (Maracuja), ananas, milk (Leite), tangerine, fennel (Funcho). Herbal liqueurs from the mainland (e.g. Beirão) are sweet, as well. Locals like to mix Anis or Maracuja with Brandy. Bitter flavored liqueurs are obviously not available. High-proof drinks: The traditional »schnapps« is made of wine (not pomace) and is called Aguardente. When barreled for many years it will stain brown and is named Aguardente Velha or Brandy. Portuguese Brandy is internationally renown. Some Aguardentes Velhas are on a level (and price) with high-class French Cognac. The make CR&F, for example, is very recommendable. Pomace spirit, by the way, is named (Aguardente) Bagaçeira. Fish is locally captured and sold fresh to supermarkets and fish shops. This is why fresh fish is available all the year, except for the fishermen can`t debouch in stormy weather. You should always check the eyes of a fish: if they`re opaque, hands off! Prices go by the captured amount. Not every type of fish is captured all the year. Some fish species are perfect to be grilled, some don`t work at all. Some look beautiful, but taste dull or are very bony. The smaller a fish is, the more bones it will have, compared to the amount of meat. Fish is scaled before it is cleaned: when buying a whole fish, only approx. half of the weight is edible. Good to know in restaurants: it`s better to see the English AND the Portuguese menu. Some translations are incorrect. »Codfish« on a menu is never fresh but dried cod = stockfish (Bacalhau). Abrótea (da pedra) (Fork-Beard). White meat, soft, neutral taste. Restaurants serve usu. fried breaded fillets. Albacora (Yellowfin Tuna, NOT Albacore). Bargain tuna species. Restaurants tend to cook it thoroughly, which makes it dry. Alfonsím (Splendid Alfonsino). Excellent food fish. Can be grilled, baked or fried. Firm white meat, very tasty, little bones if not too small. Atúm (Tuna). Usu. 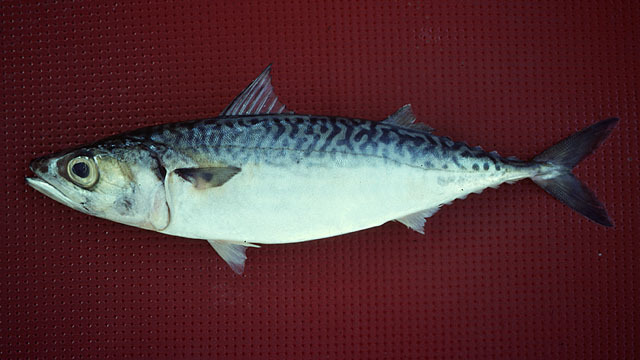 Atlantic Bluefin Tuna (Rabilo ) or Albacore (Voador ), but not Yellowfin Tuna (=Albacora, see above). Bacalhau (Stockfish, Codfish). Salted and dried codfish from Norway, often a casserole dish. »Codfish« on a Portuguese menu is always Bacalhau! Besugo (Axillary Seabream). 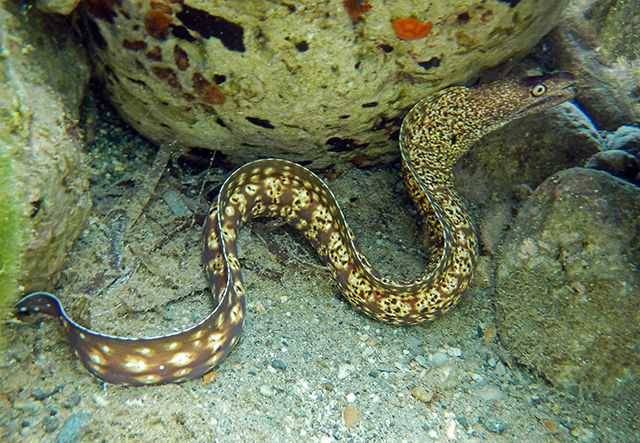 Closely related to Peixão, but smaller. See there. It is mainly used for soups. 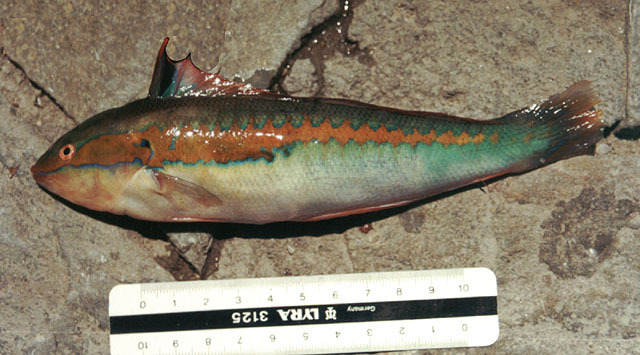 Bicuda (Yellowmouth Barracuda). One of the best food fishes, cut into pieces, floured and fried or grilled. Firm white meat, little bones, very good flavor. 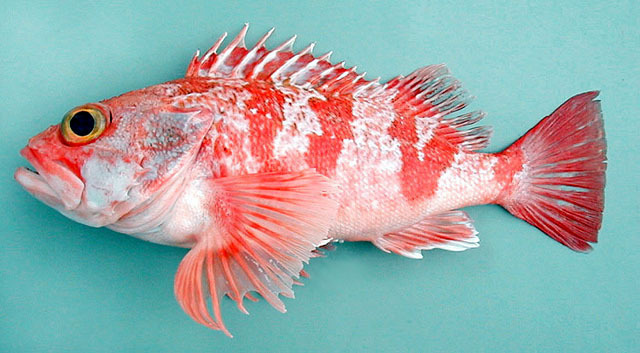 Boca Negra (Blackbelly Rosefish). Like Alfonsím, but slightly more tender meat. 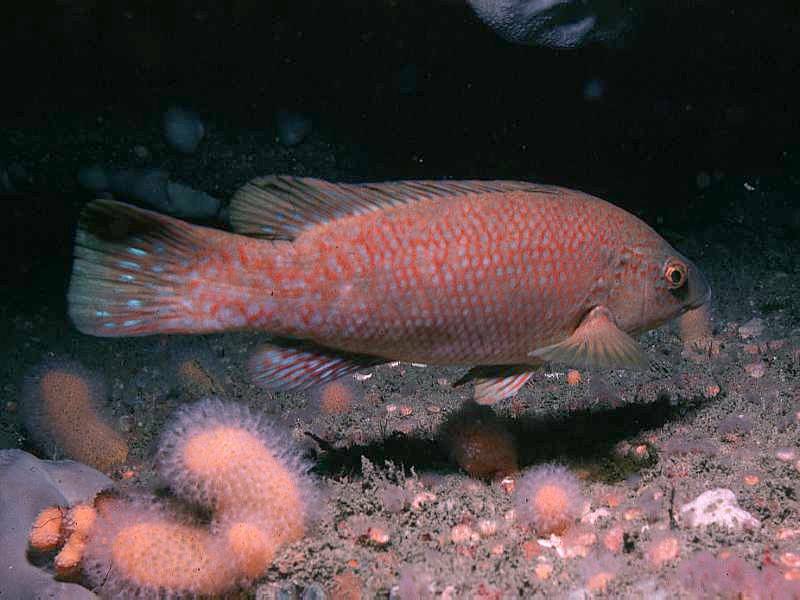 Bodião (Ballan Wrasse). Neutral and bony, not the best food fish. Bonito (Skipjack Tuna). Restaurants in central Europe use to sell it as »tuna«, even though it is closer related to the Mackerel. The flavor is somewhat in-between, but nevertheless intense and very good. Cut into pieces or fillets for grilling, baking, frying. 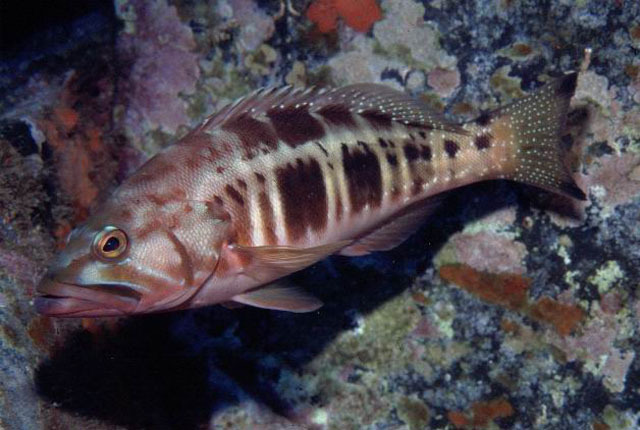 Cântaro (Offshore Rockfish). 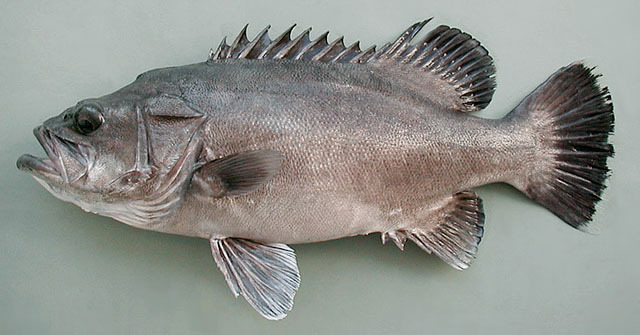 Superb food fish, similar to Alfonsím or Boca Negra. Cavala (Spanish Mackerel, Chub). The typical Mackerel, intense flavor, dark meat. For grilling, baking, frying. Cherne (Stone Bass). You will rather see it on a menu than in the fish shop, because of its size. White neutral meat, usu. in fillets, breaded and fried. Chicharro (Blue Jack Mackerel). The most common fish on the Azores, same flavor as Chub, but smaller. Sold in the size of Sardines (French-fry), medium (fry) or grown-up (fry or grill). Mainly cheap and always delicate. Congro (Conger). Some buffet restaurants offer Congro stew from time to time. All-white tasty meat, but many little bones. Dourado (Dolphinfish, Mahi-Mahi). Catched in the open sea. Very good in fillets and/or fried or grilled. 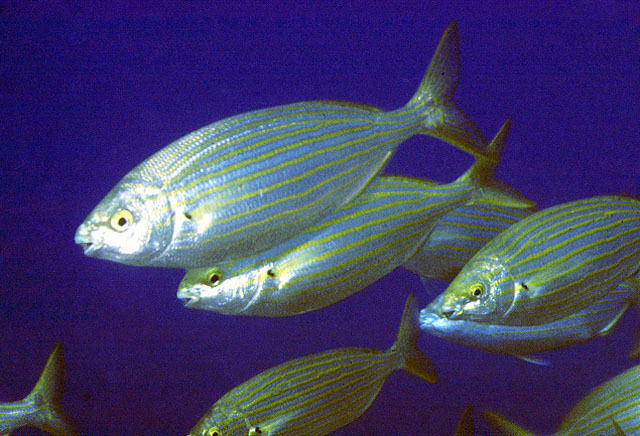 Encharéu (Dentex, White trevally). Firm, tasty meat, like a Mackerel, but less fat. Tends to get dry when grilled. Espadarte (Swordfish). Usu. fried/grilled steaks. Very expensive. 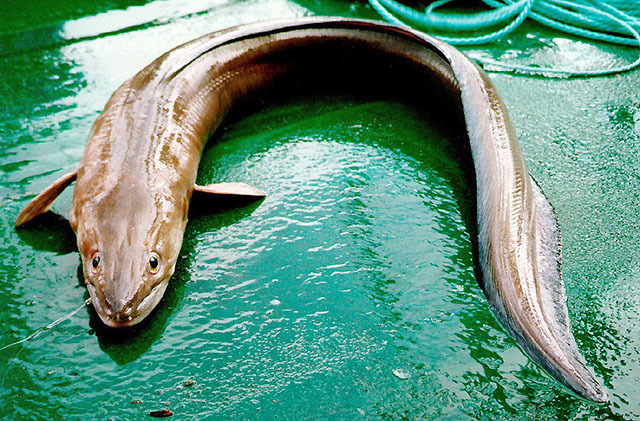 Do not confuse with Peixe Espada (Scabbardfish). Espadim (Marlin). A close relative of swordfish, which is almost entirely caught in game fishing. There is Espadim branco and Espadim azul (white and blue Marlin). Garoupa (Blacktail Comber). White meat and excellent taste, like Boca Negra, but smaller and thus many bones. Goraz . Different name for Peixão - see there. Juliana, Abrótea (do alto) (Greater Forkbeard). See Abrótea da pedra. Melga (Mora). White neutral meat like Abrótea or Juliana, best as fillet, e.g. in egg batter, fried in a pan. Moreia (Moray). Contains lots of wobbly fat. Island specialty: cut into pieces and French-fried (Restaurant Faria, Ribeira Grande). This tastes like the crust of a grilled pork hock with a thick slick of fat. 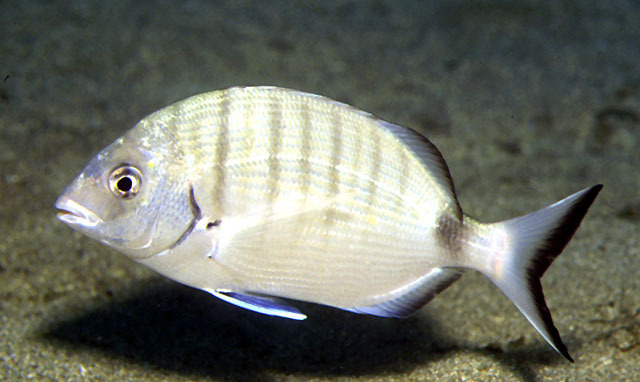 Peixão (Blackspot Seabream). White neutral meat, tends to be bony. Peixe espada branco (Silver Scabbardfish) and Peixe espada preto (Black Scabbardfish). Very good food fish, cut into pieces and grilled or fried or in a casserole. Delicate flavor, white meat. 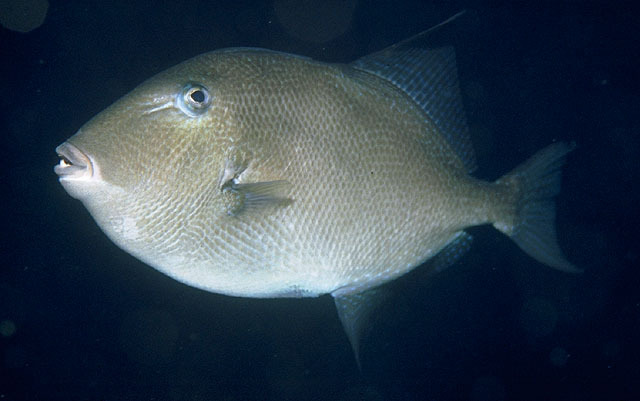 Peixe Porco (Grey Triggerfish). The fillet is divine, in egg batter or floured into the frying pan. Very firm pink meat which becomes white when cooked. It should be tried absolutely! But the fish must be filleted in the fish shop, because it`s very difficult to take the leathery skin off. Peixe rei (Rainbow Wrasse). Looks nice, but it`s bony. Spongy and flavorless meat. 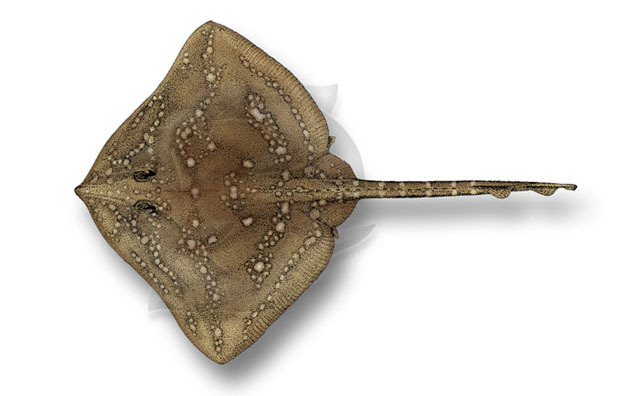 Raia (Thornback Ray). Only the wings are edible. Tender meat of good flavor. If stewed, with a rich sauce, you can push the meat off the bones with a fork. 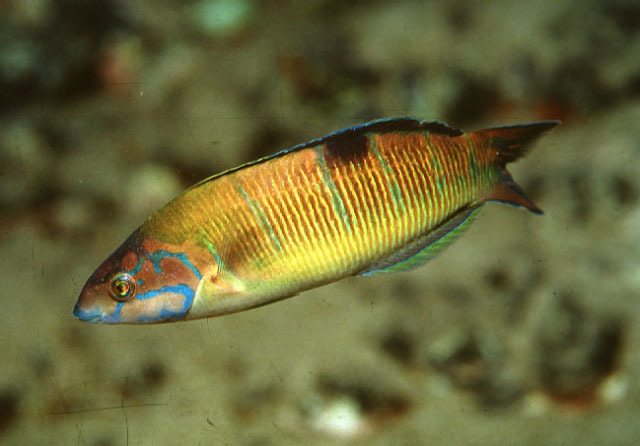 Rainha (Ornate Wrasse). Colorful but soft, watery meat, used for soups. Many bones. Not recommendable. 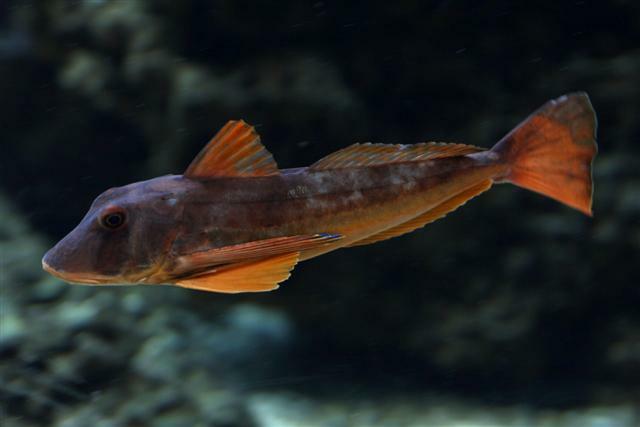 Ruivo (Tub Gurnard). Magnificent food fish. Firm white meat, little bones, excellent flavor. Grilled, fried, baked. Salema (Cow Bream, Dreamfish). Bony, neutral meat. No revelation. Sardinha (European Pilchard). The »Portuguese national fish« is rarely captured on São Miguel. Sargo (White Sea Bream). 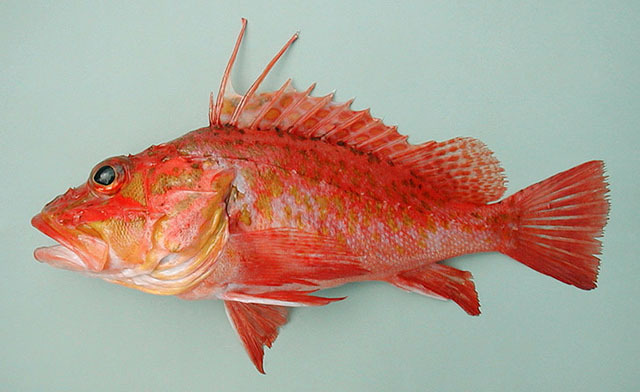 Can sometimes falsely be seen on a menu as »White Snapper«. White meat, good taste, but many bones. Serra (Pelamide, Atlantic Bonito). Another relative of the Tuna-Mackerel family. Dark firm meat of intense flavor. Fillets or slices for barbecue, frying pan or oven. Tainha (Thicklip Grey Mullet). Bargain fish, very big, but nevertheless dull flavor and quite bony. 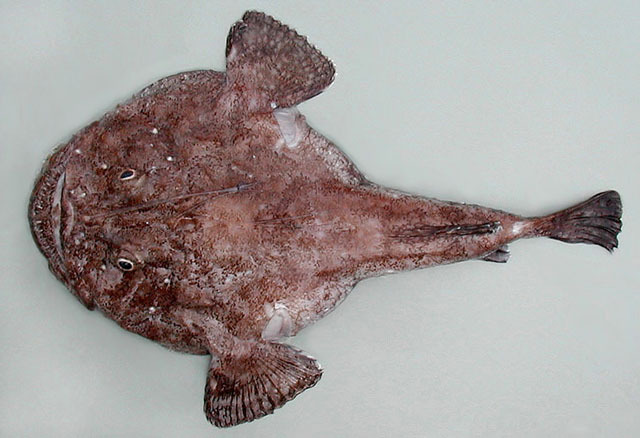 Tamboril (Anglerfish, Monkfish). Very tasteful, but a little bony. Rather available in restaurants than in fish shops. Veja (Mediterranean Parrotfish). Very pretty fish, but watery white dull meat and lots of little bones. In restaurants and snack bars you will find the following dishes quite frequently. They`re served either no pão (in a bread) or no prato (on a plate) with French fries and rice. On the Azores, fries and rice go together like a horse and carriage. A specialty of the Azores is putting a fried egg over the meat. And an occasional strip of salty red pepper (sometimes hot) and/or a bunch of garlic cloves (which needn´t be eaten). That`s called e.g. Bife à régional. - Bifana: pork cutlet, marinated in wine and sweet pepper sauce. - Picanha: like Prego, but seasoned differently (garlic! ), originally from Brasil. - Bife (de vaca): a better piece of beef, not marinated, sometimes tenderized = a simple steak. The restaurant of the Associação Agricola calls it Bife de pojadouro. - Costeletas de novilho: Young bull`s chop, very recommendable! - Caldo Verde: green soup. Portuguese national dish made of wild cabbage, potatoes and a little Choriço. - Sopa de legumes (vegetable-), cenoura (carrot-), alho francês (leeks-), feijão (beans-), peixe (fish soup). Contains less garlic than Spanish Chorizo but sweet pepper sauce. The more expensive Chouriço Carne can be eaten uncooked, for picnic. The consistency is like a Kielbasa, which means a high percentage of lean meat. The cheaper Chouriço Mouro is used for cooking, only. Contains more fat, pork rinds and sometimes cartilages. Chouriço is sold picante resp. c/ (com) picante (»hot«) or s/ (sem) picante (»not hot«). A great spread you should try! We recommend the paste of Salsiçor (hot) or Ideal (not hot). S. Rosa is, in our opinion, quite »hoggy« and Sicosta »artificial«. Pé de Torresmo looks similar, but caution! Depending on the manufacturer it tastes quite differently. Ideal`s is a kind of roast pork spread with savory »christmas«-flavor (cinnamon and allspice), great taste! Salsiçor`s is a greasy and non-hot variation of their chouriço paste. Sicosta contains among others liver and smacks - like S. Rosa - very rustic. Those who like crackling fat and Palatinate liverwurst will have fun with the last ones mentioned . - Linguiça: It`s a kind of cooked salami, comparable to hungarian Kolbasz. Offered in different sizes. - Morçela: boudin, delicately flavored (cinnamon!). Has to be heated. Fried, with ananas, a specialty of São Miguel. - Salsichia: raw bratwurst for barbecue, usu. intensely seasoned. Type »Toscana« is flavored with red wine. - Farinheira: usu. cooked in stews. It consists of flour and lard, with a strong smoke aroma. Good taste, but the texture needs to get used to. If garlic is added, this »sausage« is called Alheira. - Chourição: »Big Chouriço« in slices. The flavor is not severe. - Chourição Espanhol: tastes like original Spanish Chorizo. - Peperoni: a Chourição-variation, containing fennel. It`s not hot. - Torresmos fatiado: similar to brawn, in slices (fatias). Looks rustic but tastes mild. It is ubiquitous in the »micelense« cuisine and replaces salt/buillon cubes/soy sauce etc. It`s used for cooking, marinating and put on fresh cheese. Very typical are oven-cooked dishes (e.g. chicken thighs with potatoes), which are seasoned with sweet pepper sauce and Chouriço to get that authentic micelense flavor. The Azoreans like to spread that sauce over (French-)fried or baked »bread & butter« fish Chicharro (Blue Jack Mackerel) as well. Sweet pepper sauce also suits to make sausage slices more spicy, which is a good alternative to using mustard. It consists of milled (moída) or rasped (ralada) or striped red pepper (lightly hot) and a lot of salt, usually 14%. That is still good for cooking, but you have to handle with care. The sauce on the picture is (temporarily) available at Casa Cheia and contains significantly less salt than most other products. It`s a little bit hot and rather liquid, but very fruity. This intense fruity flavor, in combination with a higher percentage of salt is also typical for the sweet pepper sauces of e.g. the brand Dona Pimentinha. You will find Azorean Honey (Mel) usually in two variants: the sweeter Multiflora (blossoms) and the slightly more hearty Trevo (clover). Sometimes you will find Incenso (frankincense), which means »Australian Cheesewood«, a widely spread invasive tree species with intensely smelling blossoms. Honey made of these trees is usually even more sweet than multiflower honey. The manufactory Quintal dos Açores produces a lot of expensive homemade jams, among others in unusual flavors, like e.g. pumpkin (Abóbora), tomato and likewise. These are made in a traditional way without pectine, but with a high percentage of sugar, instead. Supermarket brands offer less exotic jams for moderate prices, like e.g. Pêssego (peach), Framboesa (raspberry), Frutas Silvestres (mix of strawberry, blueberry, blackberry), Mirtilo (blueberry), Figo (fig) and Morango (strawberry). Our favourite is Continente`s home brand, other makes are rather sweet. A bargain specialty is Marmelada, which is a set quince jelly. The brand on the picture is (temporarily) available with blue and red label at Casa Cheia and less sweet than other brands, we have tried.